recommended for: Fans of Cruel Beauty by Rosamunde Hodge, fairy tales, and whimsical adventures. will i continue the series? : N/A, I think. This is the kind of magical, atmospheric, fantastical, exciting book that keeps me reading and fills me with the urge to write. Black's Fairfold is a believable fantasy town where humans coexist with faeries and look the other way when the faeries wreak sometimes deadly havoc--as long as it's on tourists, of course. A place where a little girl and boy can slay monsters in the woods. A place with a boy in a glass coffin--and this part alone gave me that sense of mystical darkness that chills and excites. The rich world is bolstered by Black's sharp, gorgeous writing and intriguing characters. Hazel is a spitfire haunted by a bargain from her past; Ben is the tortured romantic. 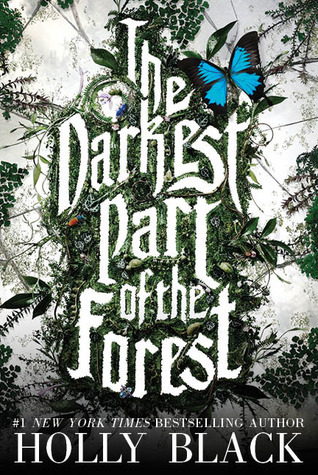 Their love for the coffin boy thrusts them into the heart of a battle that has faeries pitted against humans and against each other, all against the frightening monster in the forest's heart. It's a plot straight out of a fairy tale but entirely new, packed with enough battling, romance, and endearing teenage awkwardness that it's nearly impossible to stop reading. 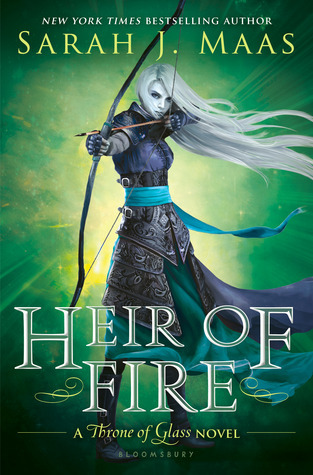 It's a book that filled me with wonder, kept me up past my bedtime, and made me love young adult fantasy all over again. It's a fairy tale with an edge, darkly humorous; it takes no prisoners. Black doesn't work with dead space. There's no fluff. She opens on the oddly familiar scene of a teenage party in the woods, with all the usual suspects: beer, brawling jocks, debauchery, a boy in a glass coffin. Oh, you didn't have those? It's a clever way to introduce the strange betweenness of Fairfold. Hazel is at her usual tricks, kissing random boys because she feels like her time is running out. Then strange things keep popping up. Notes in walnuts. Creatures out of place. A horrifying message on Hazel's wall. And a broken, empty coffin. Hazel, Ben, and their friend Jack are suddenly warriors in a fight they don't understand, and the plot races forward as they investigate the strange secret messages--and seek to keep their own secrets from each other. The chilling presence of the monster lurks at the edge of every page, creating a taut, tense feeling that doesn't let up. Sprinkled throughout are lies and friendships, uncertain romances, angry mobs, and the thin line between a blessing and curse. Black packs a lot into a short book without making it feel overstuffed. I was trapped from the first page. My only complaint is the monster. For some reason, I was expecting something different and more psychologically chilling. Black takes a cheeky approach to the fairy story. She doesn't just give us a town where the residents are aware of the fay folk. She gives us a town where the residents' awareness of the fay is blase, almost commonplace. Where it's shocking if someone goes around without wearing charms and protections; where the biggest gossip is who bargained poorly at the wishing tree. Where the townspeople are happy to leave the faerie folk alone, and to turn a blind eye when the occasional tourist disappears or shows up headless. Because magic isn't superstition or even secret, it allows for a much different tact than your usual fairy story, where only the heroine is privy to the secrets of the underhill. Black's execution is perfect. She blends the two worlds so seamlessly that the fay all at once seem both mystical and mundane. The characters really carry this book. It would stand on plot and style alone, but the characters distinguish it and make it memorable. Hazel is so different from your typical insecure loner meek type. She's fierce. She's a little bit of a mess. She kisses boys but doesn't date, and she longs to relive her childhood, when she chased monsters with a golden sword. In short, she is a certified badass--with enough insecurities to keep her endearing. Ben is difficult not to love. He's adorable, conflicted, melancholy, obsessed with true love, and haunted by the power he was given unasked. As siblings, they play off of each other; their bond is clear in the text, and the secrets they keep from each other drive the plot as much as the magic does. My issue was with Severin and Jack. I love them both, but I found myself filling in elements of their personalities, especially for Jack. There was so much potential to explore Jack's torment as a fairy raised by humans, but Black didn't take it far enough. Still, I wanted to hug him so very much. And Severin, while thin, is hysterically impish. Everything was pretty much in order except or the points of view. It's Hazel, all Hazel, for almost the entire way through, and then suddenly we start getting Ben. Just a few chapters when it's needed, and then back to Hazel. It's really useful to have Ben's perspective, especially since he and Hazel are keeping so much from each other. But it seems abrupt. It would have been nicer to have a Ben section or two up front, to establish his voice. A darkly humorous fairy tale that mingles magic, romance, and and a thrill ride of a plot.